Voice disorders, often called vocal disorders, are those that impede an individual’s voice from sounding as it would normally. Each individual has a unique voice, and even something as simple as the voice growing huskier or escalating higher can be frustrating. There are three main types of voice disorders, and many causes. Treatment for voice disorders will depend upon the type of disorder as well as the cause, severity and “age” of the disorder. Medical professionals will be able to provide further information on voice disorders. Organic disorders originate within the body and may be described as physiological in nature. These disorders fall into two general categories, structural disorders and neurogenic disorders explained below. Structural disorders are those that occur when there is a problem with the actual voice mechanism, such as in the tissues of the vocal chords. Neurogenic disorders are those that are caused by problems in the nervous system. The second main type of voice disorder, functional disorders, occur when the vocal mechanism is normal in structure but is used improperly or inefficiently. Finally, psychogenic disorders occur when voice quality is impaired due to a psychological issue. Voice disorders can result both from abuse of the voice as well as factors over which individuals have no control. Routinely breathing dry or polluted air, allowing the body to become dehydrated, talking too much, talking too loudly/screaming and smoking can all cause stress on the vocal chords and result in a voice disorder. The growth of nodules, polyps and sores on the vocal chords can also bring about a voice disorder. Other causes of voice disorders include infections, acid reflux or the movement of stomach acid into the throat, cancers, and diseases that paralyse the vocal chords. The recommended treatment for a voice disorder will depend upon the cause and severity of the voice disorder. 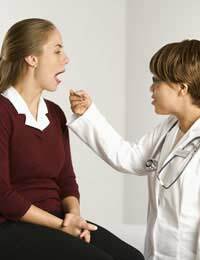 Usually if a voice disorder is diagnosed early, some form of treatment is available. For example, hoarseness or a “loss” of the voice due to stress may be eliminated simply by resting the voice. Voice disorders caused by infections may be able to be treated with medication, and voice disorders resulting from abnormal growths may be able to be treated with surgery. The prognosis for recovery will also depend upon, among other things, the type of voice disorder, the “age” of the disorder, the severity of the disorder and the age and overall health of the individual involved. Medical professionals including speech therapists will be able to provide further information on voice disorders. Some vocal coaches may also have experience in the subject and may be able to provide information, advice or support. A variety of organisations that exist to support speech disorders in the United Kingdom may also be able to provide further information on voice disorders. The British Stammering Association (www.stammering.org), Speakability (www.speakability.org.uk) and Talking Point (www.talkingpoint.org.uk)are just a few of these organisations. Though they do not exist solely to address voice disorders, they may be able to offer a degree of information as well as further contact information for an individual or organisation more experienced in the subject.